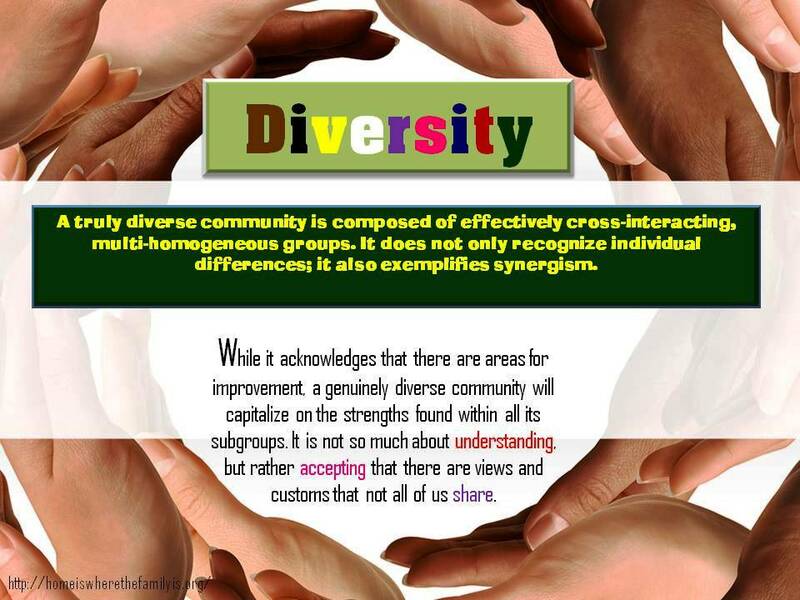 A truly diverse community is composed of effectively cross-interacting, multi-homogeneous groups. It does not only recognize individual differences; it also exemplifies synergism. While it acknowledges that there are areas for improvement, a genuinely diverse community will capitalize on the strengths within all its subgroups. It is not so much about understanding, but accepting that there are views and customs that not all of us share.